The Town of Waitsfield maintains approximately 30 miles of roads within the town boundaries with a 3-person Road Department. "VLCT asked the Vermont Local Roads Program for advice for towns that might be weighing the relative costs and benefits of paving their dirt roads, especially in light of recent winter temperature fluctuations. We thank Hank Lambert, Co-director of the Program, for sharing the following advice and resources: As the volumes and weights of traffic increase, the cost of maintaining a road also increases. Since every road is built differently, and acts differently, each road must be assessed individually. Engineers seem to agree that traffic volumes of 400 to 500 vehicles per day on a gravel road indicate it is time to upgrade the road to include paving. A 2005 research paper by the University of Minnesota addresses the issue of paved versus gravel roads. It is called Economics of Upgrading an Aggregate Road and can be found at: http://www.lrrb.gen.msn.us/pdf/200509.pdf. 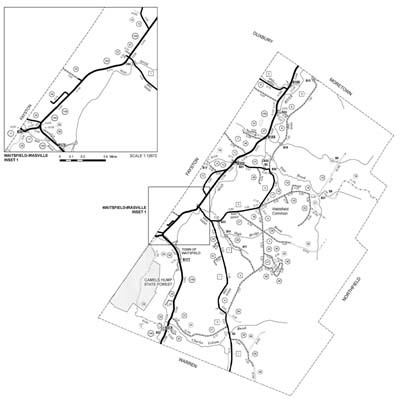 The Vermont Local Roads Program also addresses the topic in a fact sheet When to Pave a Gravel Road, which can be found at http://www.vermontlocalroads.org." Under State law, there is a 24,000 pound weight limit on town highways unless other weight limits are established. An excess weight permit is required to drive trucks with a gross load of more than 24,000 lbs. over town highways (except on designated truck routes). 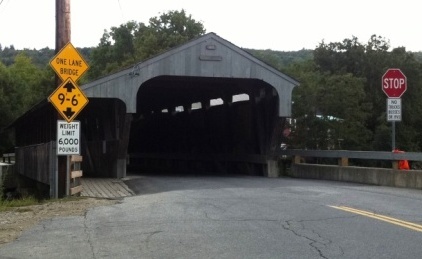 Excess weight permits are not valid for travel over posted bridges or wooden bridges. 01 C84 Bridge Street 6,000 lbs. 29 B22 Butternut Hill Road 16,000 lbs. 16 B21 East Road 16,000 lbs. 08 B24 Meadow Road 16,000 lbs. 03 C820 North Road 20,000 lbs.